Background: BNP Paribas Open is the largest Association of Tennis Professionals World Tour, known throughout the tennis community as “Tennis Paradise,” a reflection of the stunning Indian Wells landscape, a beautiful backdrop highlighted by world-class tennis players. 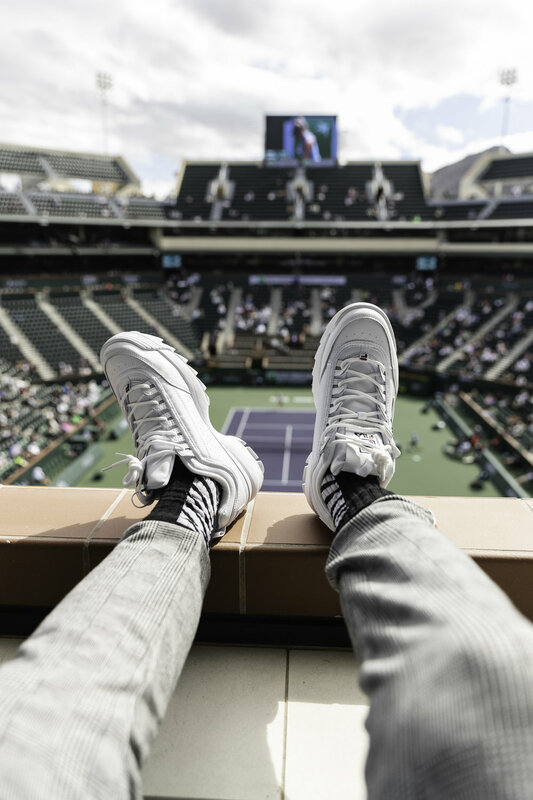 The Mission: DS Projects was brought on by BNP’s apparel & footwear sponsor, FILA, to share the Tennis experience beyond the athletes by connecting with the culture of the game through the unique lens of our LA based tastemakers. The Result: In addition to creating 2x the contracted pieces of content, we drove awareness to #FilaTennis & #FILAPLR through Instagram Stories and Posts that garnered 775,000 impressions. Please see select assets below. Our team represented the new generation of creatives with influence in music, art, skateboarding, photography, and fashion — all collaborating to create something fresh and exciting. Tastemakers include Brittany Sky, Karl Pierre and Bianca Quiñones.